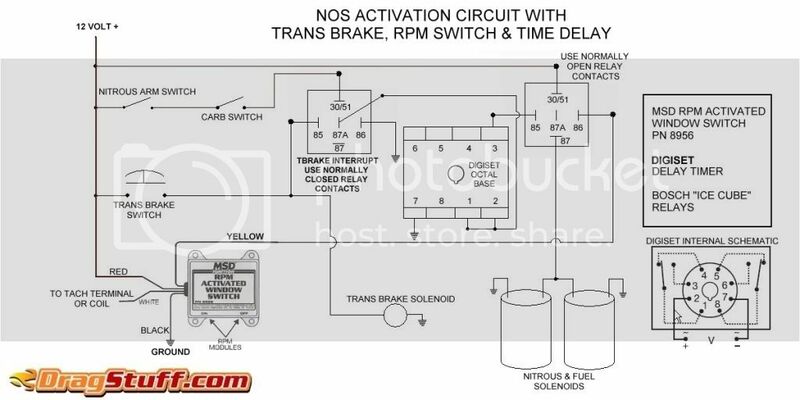 I am sure theres one on here somewhere but I need a wiring diagram to ad a digiset timer to delay my nos off the trans brake. if anyone could help me out I'd appreciate it. Location: Detroit where the weak are killed and eaten!! Should bump this to a sticky, the question is always being asked either here or in the electrical section. Could also post more variations of the same idea, progressives, 7531 timers, etc. Man, so complicated. All that stuff is done inside my Holley Dominator ECM! 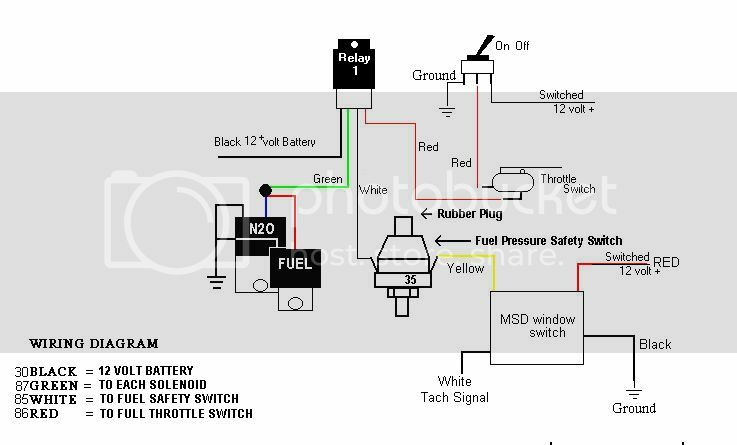 Good schematics though for those that need them, keep it here forever. Found a few more . . . . 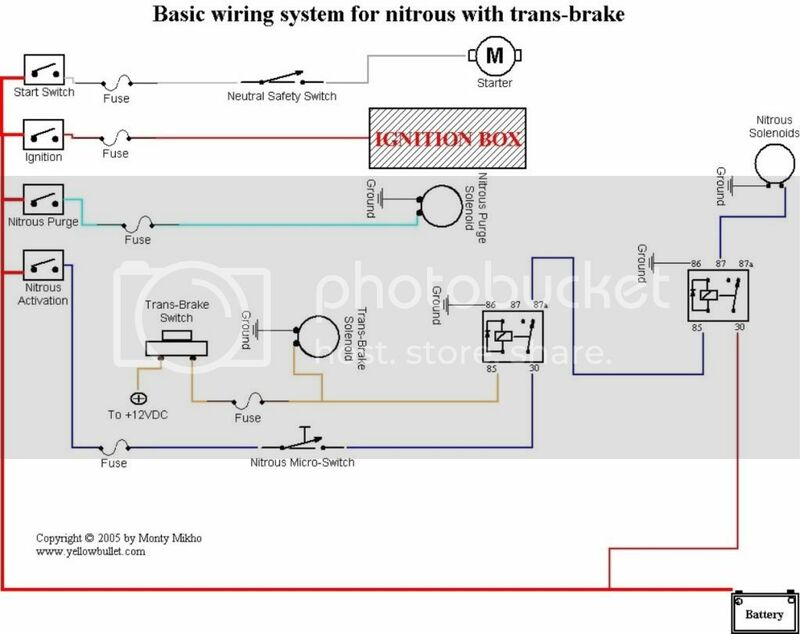 This is the diagram I wired the car with and it worked out awesome, nice and simple job for sure. Try this. 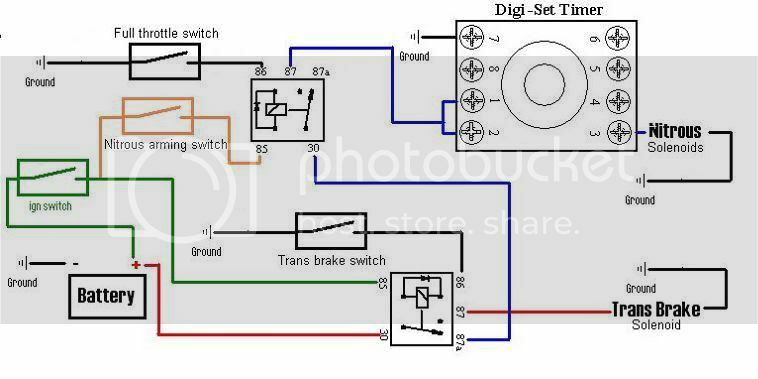 This diagram puts the WOT switch on the ground side of the circuit as well. Hope this helps. I don’t think I see the one I need here. 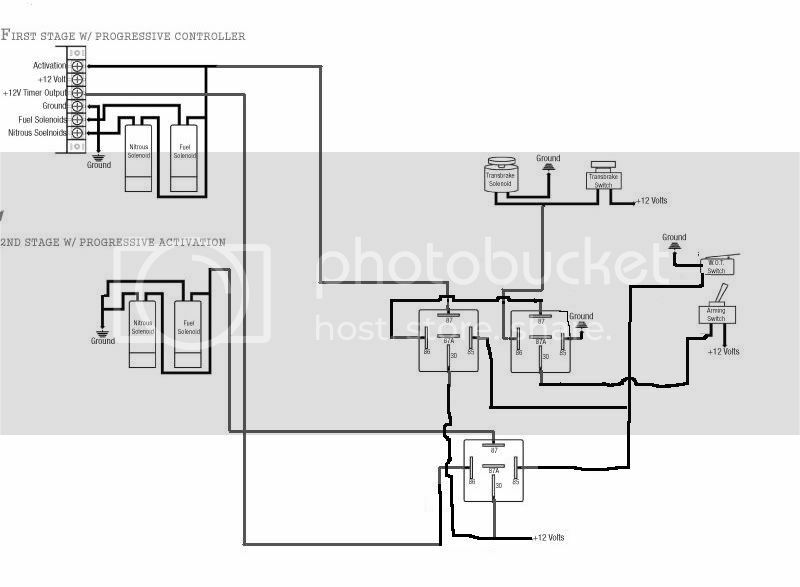 The class I am going to run does not allow any type of controller. No digi-sets, no ignition retards, no progressives, nothing. I want to be able to leave off the brake or a button. 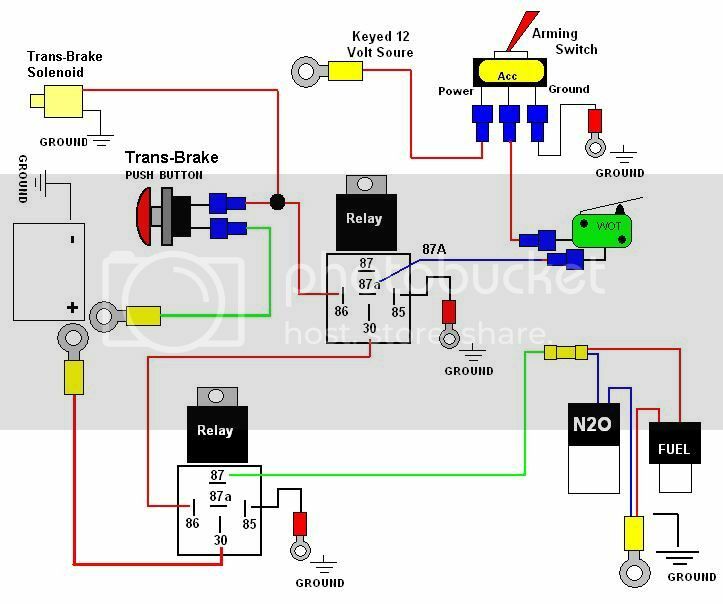 Would I need to use 3 relays? 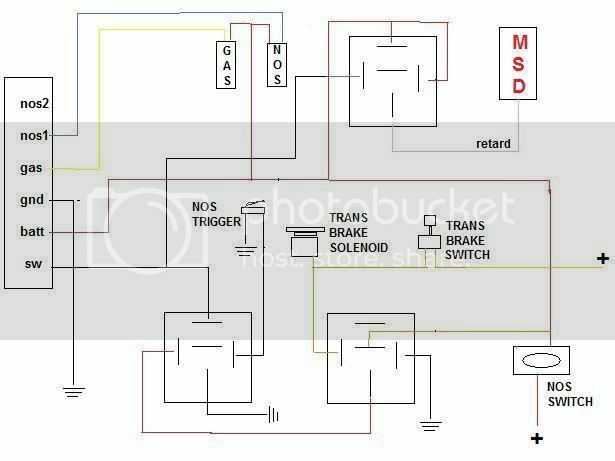 2 for the Trans brake and one for the button with 2 different activation switches? Last edited by 90camaro; 01-16-2011 at 11:02 AM. I've had it done for a while now, where you been?? Sounds like you are referring to a diode across the coil. If there is no diode then a relay does not care whether 85 or 86 is ground. If a diode is present it does matter. 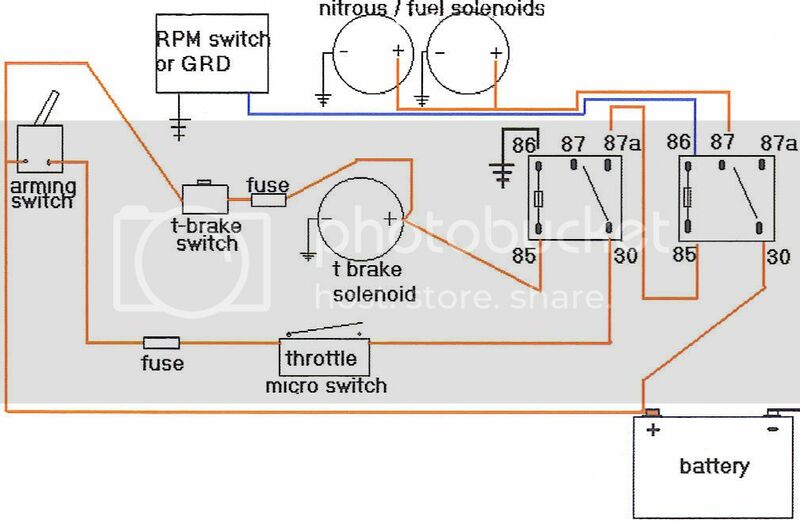 I believe some relays have internal diodes, but I have also used harnesses with external diodes, so it's a good idea to get into the habit of wiring it correctly regardless of the relay used at the time, you might need to replace the relay with a internal diode style. The Bosch standard style schematic would have the arrow point at the positive coil input. Please check,,, I always thought that the arrow points in the direction of flow of current!!! 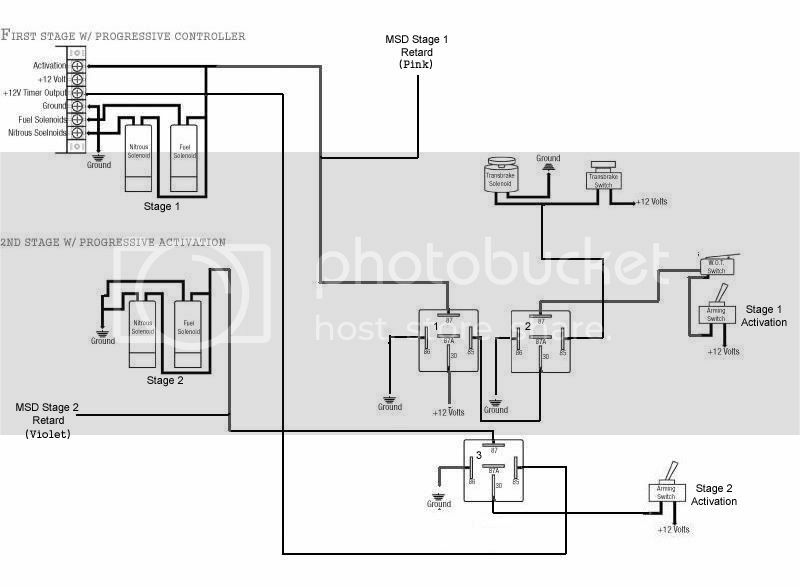 The diode doesn't pass current when the circuit is completed across the relay. It's job is to loop the current until it dissipates when the current is removed. Diodes are most often used across the coil to provide a path for current when the current path to the relay is interrupted (i.e. switched off, coil no longer energized). This allows the coil field to collapse without the voltage spike that would otherwise be generated. The diode protects switch or relay contacts and other circuits that may be sensitive to voltage spikes.